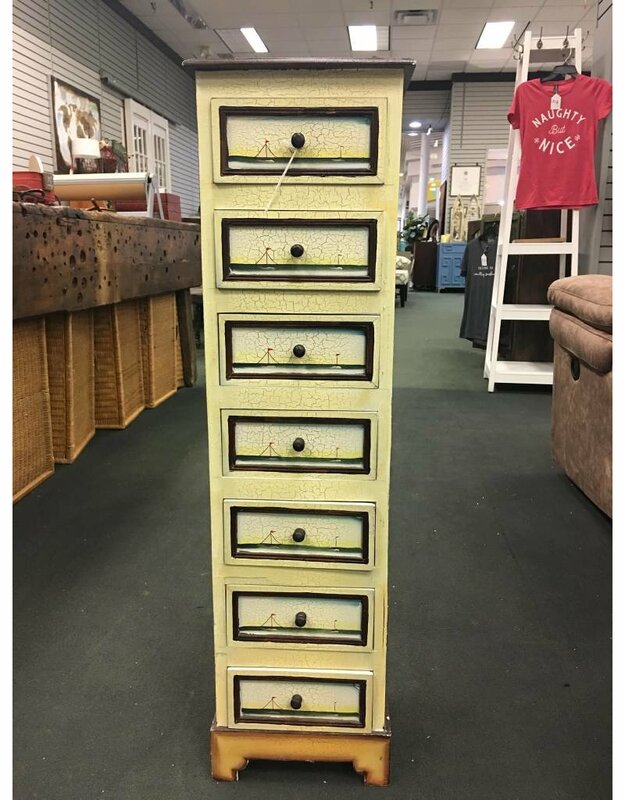 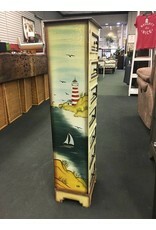 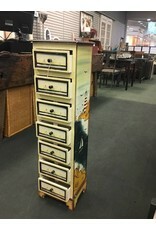 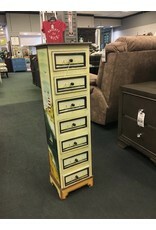 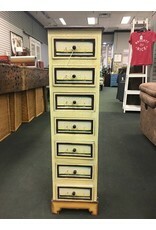 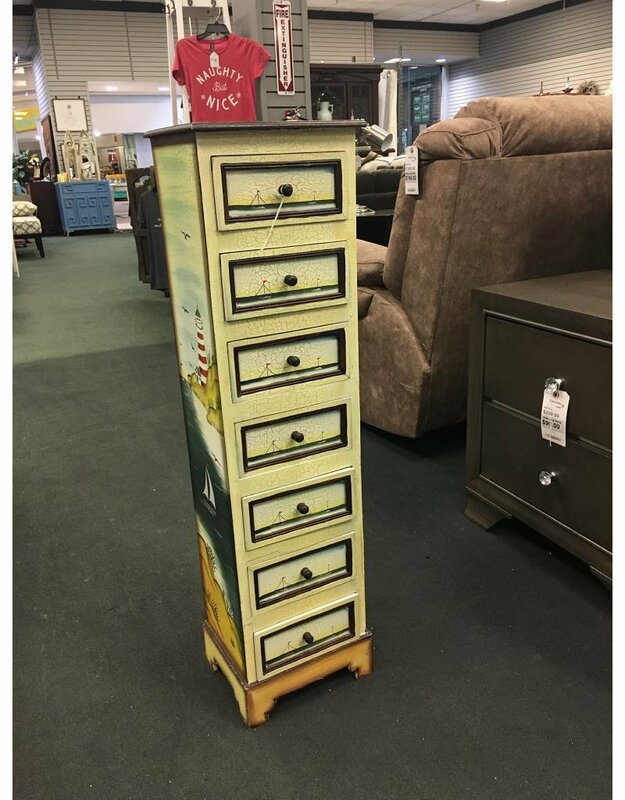 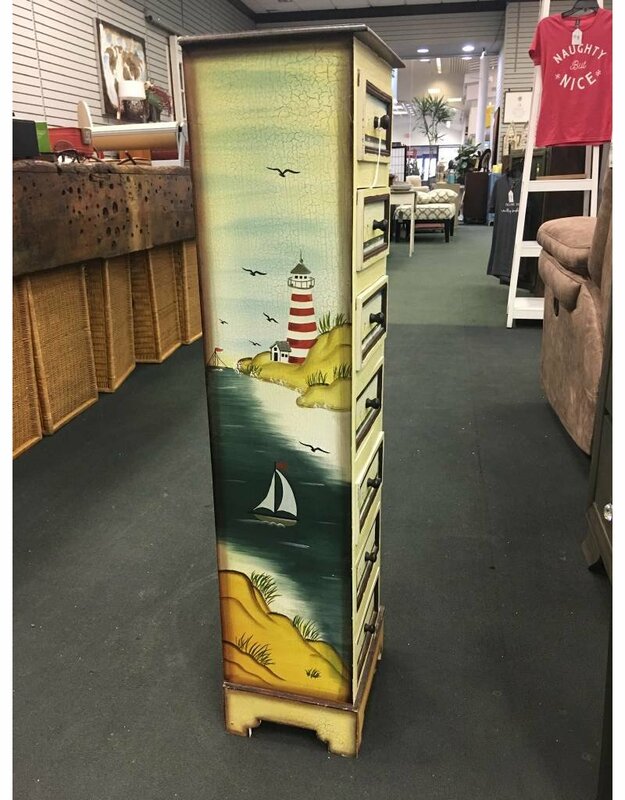 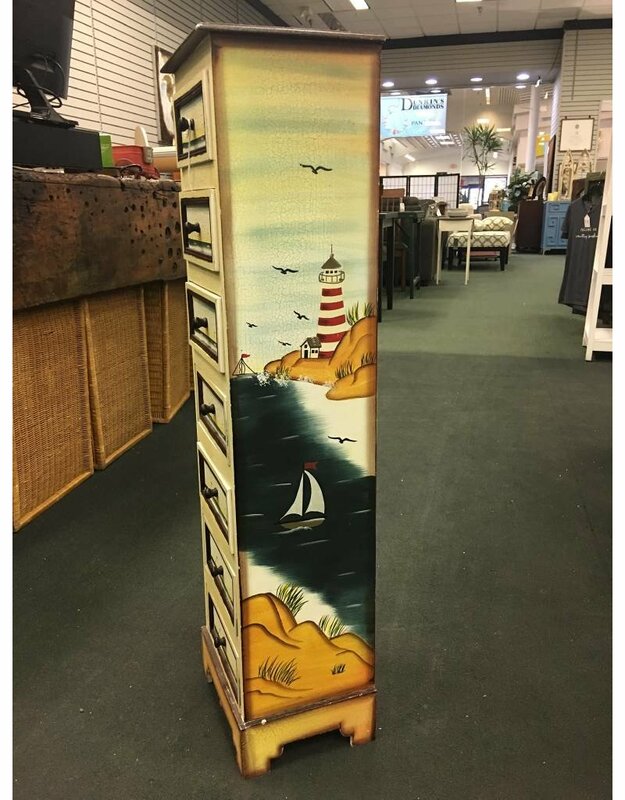 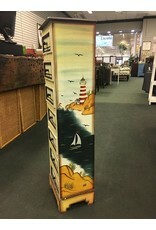 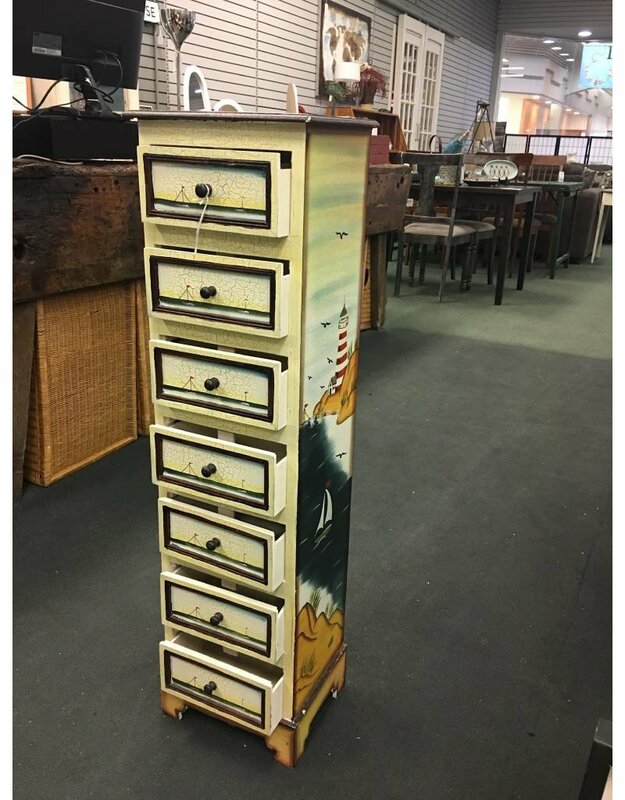 An eye catching decorative accent chest with 7 drawers that features nautical themed painted scenes. 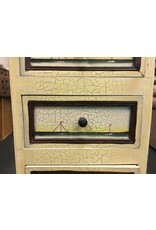 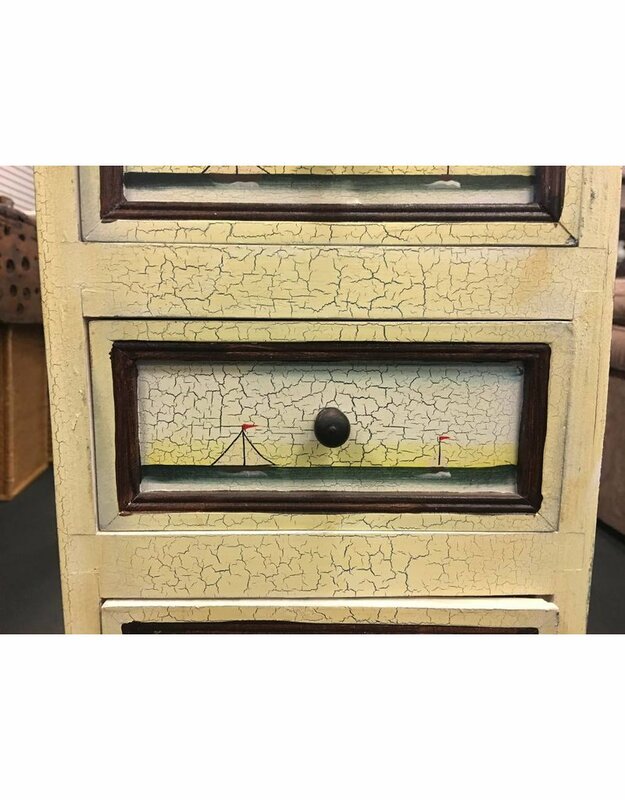 The chest features a crackle finish that mimics the look of crazing. 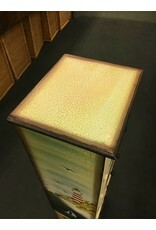 10.5" x 8.75" x 38"